Sheraton style end table with shaped top. Crossbanding and inlays on top and drawer fronts. Turned fluted legs terminating in solid brass casters. 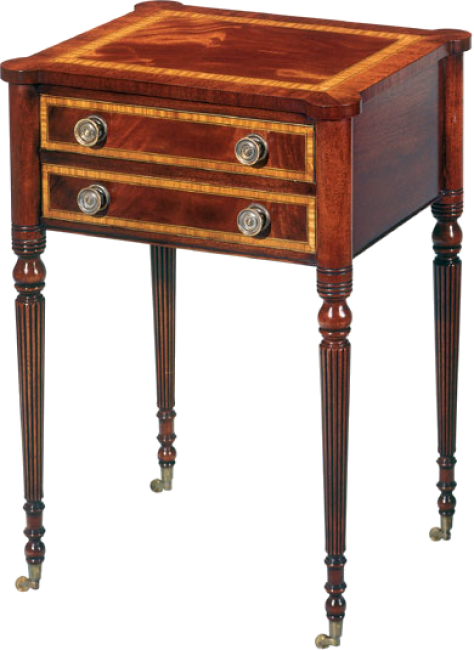 Pictured in Mahogany with Satinwood inlays.